Tea Adelaide Specialists in single-origin grands crus coffees. Pick your coffee grind type - whole beans, commercial, home, filter or plunger and order online. What makes a good cup of tea? Leaf tea is always the preferable alternative for taste and good health. The tea in teabags is often pulverised, releasing excessive amounts of tannin and caffeine, which overpower the natural tea flavour. Leaf tea is processed with a gentle rolling action that allows the leaf to release the flavour but not the unwelcome tannin toxins and caffeine. Buy fresh, large leaf tea. Health conscious people should always use quality loose leaf tea. Quality loose leaf tea is usually no more than 3 to 5 months old. Some commercial teas and tea bags can be as much as 7 years old. First and foremost - the quality of the leaf. There are two main species of tea. One is grown at high elevations above sea level, the other is grown on lower elevations or during the monsoon season. Monsoon tea is lower grade and generally used for teabags. Why should people buy tea from The Perfect Cup? Like coffee, tea is also graded and is subject to very strict grading processes. Did you know that there are 12 grades of tea on the open market and only a select few actually get to sample what real tea tastes like? So if you shop for tea in your local supermarket be warned that what you are buying is obviously of commercial quality. Consumers think that orange pekoe is a blend of tea, but in fact it is only a grade of tea. The Perfect Cup specialises only in the highest grades. Once you have tried teas of this quality, we guarantee you won't buy commercial again. You will find that fresh tea requires 5 to 10 seconds to brew, whereas commercial teas need between 3 to 5 minutes, and by that time the tea has released so much tannin and caffeine that the natural flavour has been spoiled. Cut to cut grading (etc) mass picked and produced tea, eg. tea bags, and granulated tea. Green Tea has long been valued in China for its medicinal properties in relation to the maintenance of good health. Recent studies have revealed that Green Tea does provide the body with health enhancing components such as Catechins, Polyphenols, Polysaccharides, Flavinoids, Vitamin B complex, Vitamin C, Vitamin E, R-Amino Butyric Acid and Fluoride in its natural state. Green tea is the youngest, freshest and least processed leaves of the tea plant. These leaves, once picked, are not stored for more than 24 hours before being processed. Harvested green tea leaves are processed without fermentation or oxidation by a simple light drying. The fermentation process used in black teas and oolong teas oxidises and reduces the Catechin Antioxidant content in the leaves, leaving them less desirable to consume for health reasons. Only green tea, dried without fermentation, contains the high value of Catechin Polyphenols that have antioxidant properties. 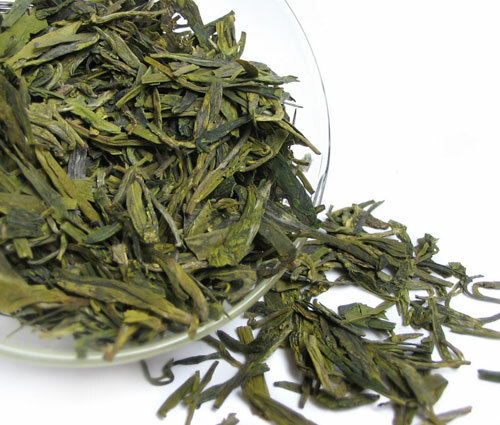 The Perfect Cup's Green Tea is the premium Chinese Green Tea, grown at altitudes of around 1,200 metres above sea level. The tea is grown in a pure natural environment without chemicals or pesticides. This tea is processed by a traditional Chinese method that prevents any change of colour, aroma and texture of the leaves, and preserves its flavour and essential properties. Green tea also contains significantly less caffeine than black tea. Green tea can help suppress and reverse ageing and refreshes the body. Its high Vitamin B content helps the body to better cope with stress. Green tea can help to inhibit the growth of various bacteria that cause disease. It effectively kills Salmonella and E-Coli bacteria on contact.